Select Intel® and Sony products can now be ordered directly from the new FRAMOS web store. Quick access to directly available vision technology is offered by this global vision partner. The new web store can be accessed at shop.framos.com with plans to extend it further with product lines targeting Embedded Vision applications in the future. As a global expert in imaging technologies, FRAMOS wants to make it easy for its customers to develop innovative vision systems. 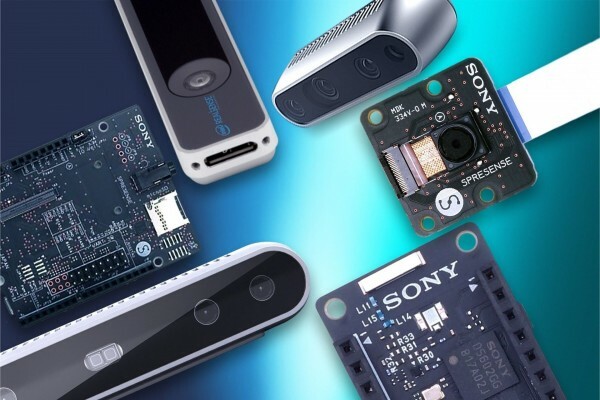 The online store will initially offer 3D cameras from the Intel® RealSense line as well as Sony Spresense™ Developer Boards. Further lines and products for Embedded Vision applications are planed in the near future. To help with the development of state-of-the-art imaging and embedded vision systems, FRAMOS works with a strong network of suppliers and partners. The company has been a certified Sony partner for more than 30 years and collaborates with Intel® for their RealSense™ technology. The Intel® RealSense™ Technology provides the necessary data so that machines can make situational decisions while enabling these devices to interact with their environment. The camera’s stereo depth sensing gives machines a more realistic view of the world so that they can navigate and map their environment – enabling “smart” devices. For drones, robots, VR, automotive, surveillance and 3D applications, Intel® RealSense™ products make a perfect choice for taking the fast lane to embedded 3D vision. The Sony Spresense™ boards enable developers to easily design and build Embedded Vision solutions. These high-quality boards come equipped with a great development environment allowing developers to create IoT applications with a very short time to market. The FRAMOS North America web store is available at shop-us.framos.com, for the Germany region at shop-de.framos.com, and at shop-eu.framos.com for the rest of Europe.